If you are interested in learning about Universal Design or considering the concept for your custom home or remodel project, Parr Cabinet Design Center is an ideal resource. We can explain the products and concepts that make Universal Design an efficient, affordable, and long-term benefit for your next construction venture. In the market for kitchen cabinets? Aesthetics are important, but here’s a quick guide to help you recognize key elements of cabinet construction and quality. The stability and durability of a kitchen cabinet depends on the quality of its box construction. So how do you determine whether or not a box is built to last? Look for how it is reinforced. The box is most commonly made from particleboard, MDF, or plywood. Look for triangular braces in the corners of the box or a beam brace that runs in a dado slot along the inside of the side panels or along the back. These methods will ensure the box remains rigid and stable. Last week we presented you with kitchen styles (modern, contemporary, and industrial) for your home. 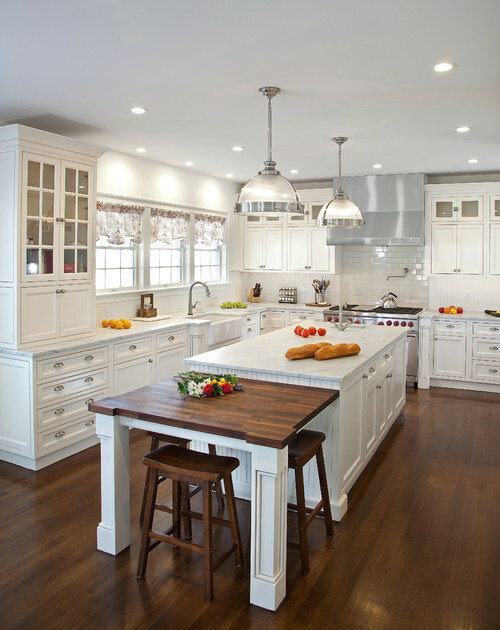 Today, we highlight three more kitchen styles: traditional, transitional, and craftsman. This remarkable, custom-built home is located on the Puget Sound in West Seattle, Washington. While the exterior of the home is distinctly Mediterranean, the interior features both traditional and French country styles.